is a lecturer in political science at the Institute of American Studies and Polish Diaspora at Jagiellonian University, Poland. He is the author of Shooting Up: A Short History of Drugs and War (2016). ISIS has revelled in its brutality. Reports of ISIS fighters, jihadist terrorists and insurgents fuelled by drugs on their murderous rampages have generated outrage and astonishment. The vision of intoxicated jihadists adds an almost inconceivable level of fright, but it should not. 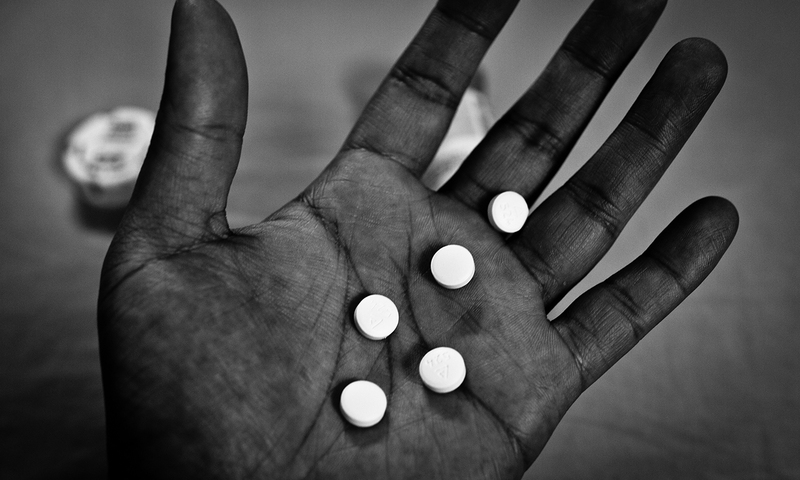 There is nothing exceptional in ISIS fighters popping pills. Drugs and warfare have always gone hand in hand – from Homeric warriors to Wehrmacht troops, and more recently US pilots during Operation Iraqi Freedom. Though the use of intoxicants by non-Western irregulars is often portrayed in the media as unique, the fact is that Western soldiers have been fighting while high for much of history. There are differences. ISIS’s substance of choice is Captagon, a powerful stimulant metabolised in the body to form amphetamine and theophylline. It makes for a perfect combat drug that numbs fear, induces bravado, enhances strength, promotes alertness and alleviates pain. Jihadists are reported to consume it pervasively, while also pumping themselves full of cocaine, heroin and hashish. It’s a potent cocktail, transforming young men into highly stimulated, ferocious and seemingly crazed fighters. It engenders feelings of invincibility and diminishes fear, including fear of death. In short, ISIS fighters are high on two powerful intoxicants: jihad and psychostimulants. Adversaries often compare intoxicated jihadists to zombies. In this way, they’re made to seem inhuman, an obvious mistake, but one that helps soldiers and witnesses to digest their incredible brutality. A Muslim Brotherhood militant in Syria recalls: ‘Some people take so much, if you shoot them, they won’t drop.’ Fuelled by Captagon, jihadists continue fighting even when gravely wounded, similar to the virulent and instinct-driven walking dead. This was precisely what US Marines experienced in November 2004 in the battle of Fallujah – the insurgents they engaged with were so heavily doped up on amphetamines and cocaine that they continued fighting despite severe injury. When the standard firing procedure to aim at the body failed, the Marines were ordered to refocus on head shots. Incidentally, this same tactic is suggested in Max Brooks’s book The Zombie Survival Guide (2003). Intoxicants seem to have become inherent to terrorism. Take two further examples. The Chechens who in September 2004 seized a Russian school in Beslan were heavy heroin and morphine addicts. During the three-day siege, they ran out of supplies and, suffering from withdrawal symptoms, turned extremely ruthless and massacred 186 children at the end. Separately, the Lashkar-e-Taiba terrorists, who perpetrated a series of frenzied attacks in Mumbai in November 2008, enhanced their performance with cocaine and steroids, enabling them to hold out against Indian Special Forces for nearly 60 hours. If junkie jihadists are described as erratic, how then should we account for the behaviour of Achilles, an archetypal Western warrior? Homer portrays him as a frenzied soldier experiencing extreme mood swings, losing control over his emotions and wreaking astonishing slaughter. What would his neurochemical brain analysis tell us about the foundational Western military hero? Achilles certainly seems high most of the time. By any measure, Homeric heroes are few and far between. It is mere men who have to be roused to arms. For a combatant to overcome survival instincts and innate fears, cope with borderline stress, and make sacrifices for a greater purpose – be it a city state, nation or religion – he or she needs extra motivation. The oldest and most popular intoxicant of war was alcohol. For centuries, governmental rations of rum (the British), vodka (the Russians/Soviets), wine (the French), beer (the Germans) or whiskey (the Americans in the Civil War) inspired ‘liquid courage’ propelling troops into battle. During the First World War, the British, French, and German military administered cocaine to their soldiers. The British Army, for example, used a medicine called ‘Forced March’ that contained cocaine and kola nut extract. The Second World War brought amphetamines to the frontline with the Nazis and Japanese boosting their troops with methamphetamine, and the British issuing amphetamine tablets. The US has also supplied its soldiers with amphetamines on many occasions – in the Second World War (administering 250-500 million amphetamine pills), during the Korean conflict (additionally issuing meth), and in the Vietnam War (in 1966-69, armed forces used 225 million dextroamphetamine tablets). Of course, soldiers have also motivated themselves with their own intoxicants. Drug-use is simply a response to the uncertainties and horrors of combat. When the battle ends, mind-altering substances can provide a healing benefit, too. Relaxation might be elusive when soldiers are hounded by traumatic memories. Drugs can help. Far from being anomalous, it would be more astonishing if the military had not reached for pharmacological support. For, as the British military historian John Keegan said, intoxicants have been, and will continue to be, a key combat motivator. And as pharmacogenetics slowly opens the door to individualised pharmacology, the future military might well be designing drugs tailored to individual soldiers – bespoke for their genetic profiles. So it should come as no surprise that jihadist fighters rely on chemical courage. It works the same as real courage, even if it is distinctly unheroic.